In 2009 Ricky “The Hitman” Hatton decided to hang up his gloves. In November this year he decided that he was in line for a comeback fight; something that a lot of boxing fans will say is never a particularly good idea. Nevertheless the Hitman chose Ukranian Vyacheslav Senchenko as his opponent. The bout took place in Manchester’s MEN Arena, Hatton’s home soil, hopefully an advantage. However the Ukranian fighter was just too hard for the Hitman who eventually succumbed to a 9th round knockout which saw him counted out whilst on his knees. 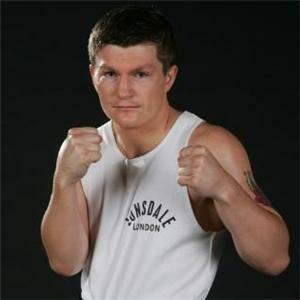 It’s an unfortunate end to Ricky Hatton’s boxing career; however it’s no real surprise. Senchencko, whilst being older than Hatton had fewer bouts to his name but has during his career only suffered one loss, a TKO earlier in the year to American Paul Malignaggi. Hatton had, whilst away from boxing suffered a series of high profile personal problems that had seen him subjected to ridicule from the press since his high profile knockout loss to Manny Pacquiao. Hatton’s other loss was to American boxer Floyd Mayweather Jnr. The Mayweather Hatton fight was billed as a battle between two well-known undisputed boxers with everything on the line. Hatton eventually lost to a 10th round TKO.